In the New Year many set out to slim down, but this year Special Tree is proud to be expanding. Country cousin to the huge NeuroCare Center project is an equally important expansion to the Livonia Student Center. The hub for our pediatric program has undergone an expansion that will provide an additional 1,250 square feet of treatment space for our current children’s services. The added room will feature a barrier-free bathroom, an expanded classroom area, dedicated treatment space and will allow us to better serve our pediatric clients. 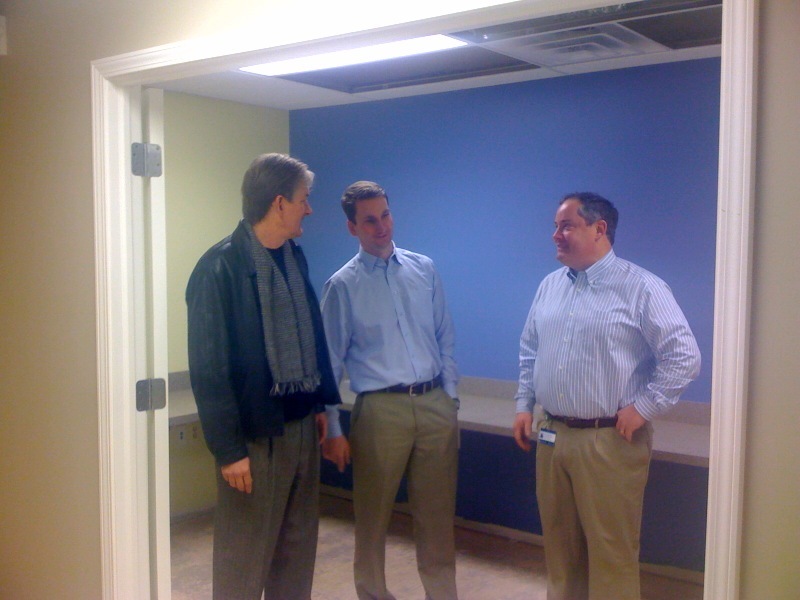 CEO Joe Richert, Jim Richert, Director of Team Up and Facilities and Mark MacAleese, Director of Therapy tour the expanded Student Center. A look at the new treatment space.